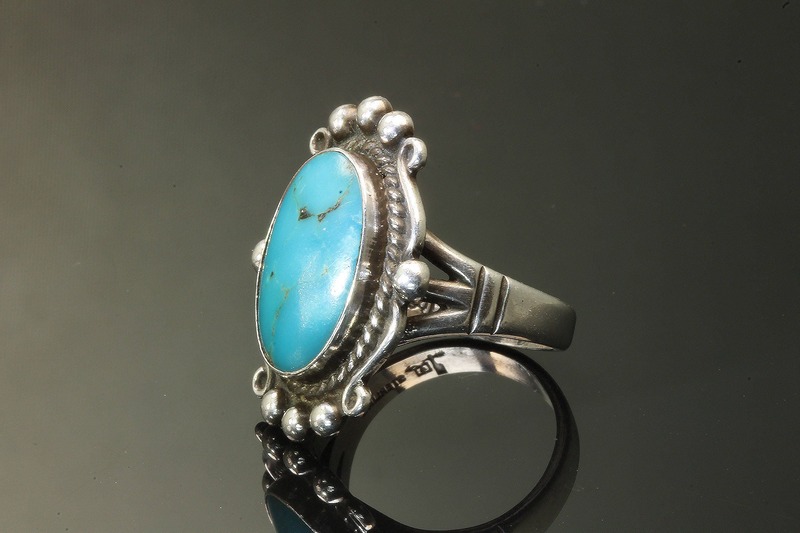 Vintage sterling silver ring from the 'Fred Harvey' era (pre 1950's), stamped. 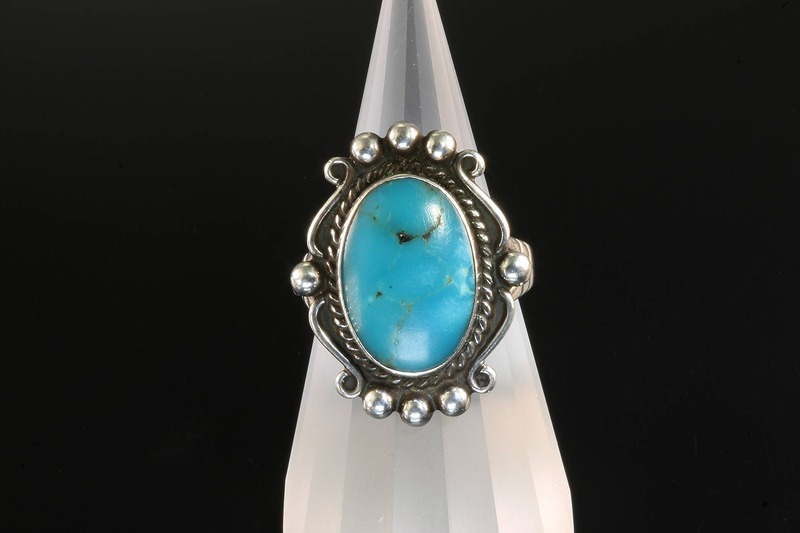 Featuring a 17mm x 11mm blue oval turquoise cabochon. What an interesting story of how Fred Harvey the restauranteur, became known for a jewelry style. 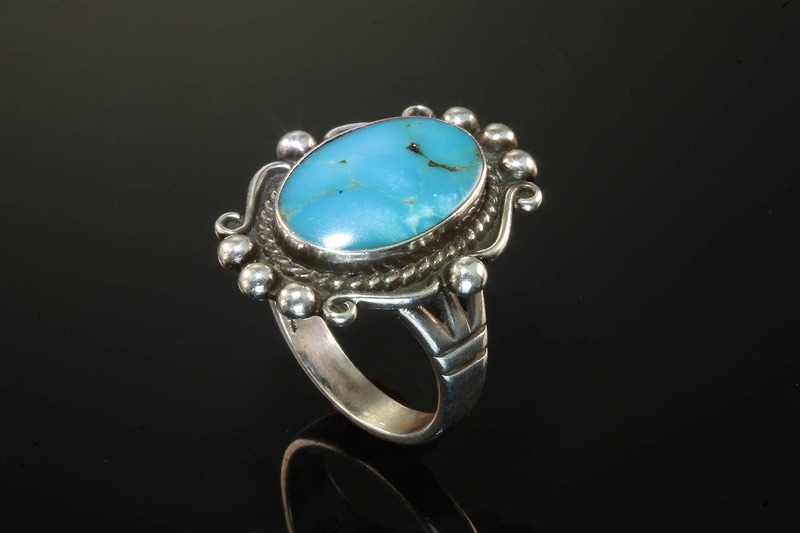 As a pioneer railroad restaurant entrepreneur, his foresight gave Native American artisans a means of selling and promoting their jewelry. Next time you eat at a chain restaurant, you can thank Fred Harvey!